Picture this: it’s a warm summer day. The sun’s rays are beating down, and you’re ready to test out the diving board on the new swimming pool you had installed last spring. You slide open your back door, but something doesn’t look quite right. Your brilliant water feature has suddenly transformed into a water disaster. Now, you’re spending the day discussing repairs for a problem that could’ve been remedied early in the building process. Improper pool construction can be painful for your wallet and warm weather fun. So leave it to experts to identify issues and correct causes during the construction process rather than after the project is complete. Here’s just one example of an important pool construction phase where an ounce of prevention is certainly worth a pound of cure. Unfortunately, when it comes to plumbing the spa air line, not every plumber is as forward-thinking as the next. Repetitive plumbing practices can lead to unfortunate missteps. In this case study, we will examine the differences between a proper and improper spa air line installation. This example illustrates that the malfunctioning spa jet would be difficult to diagnose without an onsite, certified PoolFax inspector documenting the entire construction process. 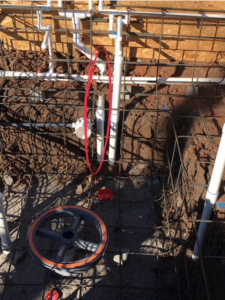 This image displays an improperly plumbed spa air line. In this scenario, by plumbing the air line in a shared pool floor plumbing trench, water could backflow into the line. This water can cause a blockage, which could prevent air from entering the jets. In addition, this has the potential to interfere with the air vent affect that allows the jets to function properly. By installing an air check valve at the stub area outside of the spa, plumbers can prevent water from flowing back into the air line. This ensures that your spa remains a jetted paradise instead of a lukewarm bathtub. Moreover, this air check valve is essential when the distance between the spa air line and the equipment pad is greater than 25 feet. At that distance, your average air blower will not be able to remove water if it makes its way into the spa air line. 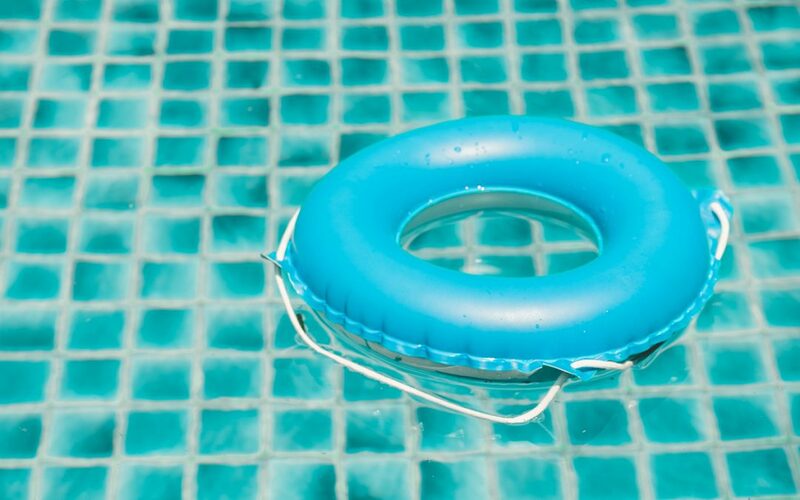 When you discover this error during the pool building process, it’s a relatively easy fix. 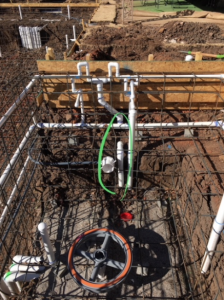 However, if you don’t identify the problem before the contractor installs the gunite shell, you may never diagnose the pesky problem with your spa jets. Maximize your pool’s Quality of Ownership, and asset value by diagnosing and accounting for causes before the pool is complete. The owner (and the next owner, and so on) will thank you. PoolFax certified pool builders and home inspectors document the installation by photographing the construction process and storing images in the PoolFax database. This allows PoolStar™ to easily troubleshoot any future problems that may arise. Before you start your pool construction project, be sure to contact PoolFax and meet with one of our certified pool inspectors.